It goes without saying that proteins are vital for our overall health. 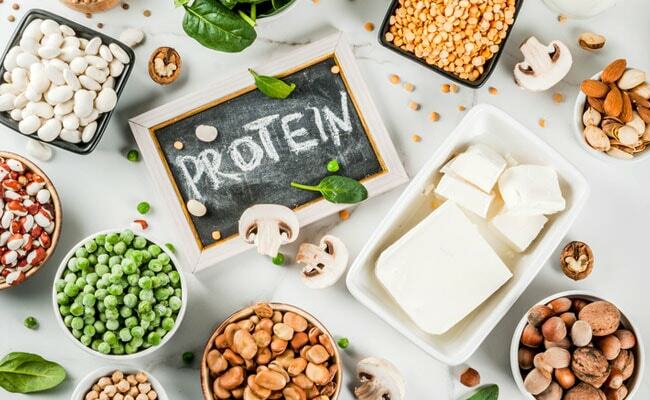 Proteins are essential to keep our body charged up and running, as they play a key role in cell growth and tissue repair, development of muscle mass, brain function, as well as in workouts and recovery. As an added benefit, proteins take longer time to digestas compared to othernutrients like carbohydrates and fats. This in turn also helps us keep full for longer while consuming less calories. For these reasons, the nutrient proteins are extremely important for those trying to lose weight and athletes or bodybuilders. When we talk about proteins most people immediately think of animal based proteins like meat, eggs or chicken. Then how can vegetarians or vegansathletes include proteins in their diet.To begin with, animal based foods are not the only sources of protein. Vegetarian foods can also make up for excellent sources of proteins.All you need to know is how to incorporate protein-rich foods in your diet to improve your child’s athletic performance. Tofu is a soya product and a complete source of protein. This means it contains all the nine essential amino acids. Available in a variety of textures, from creamy to firm, it can be used in many different cooking methods, and along with several nutritious vegetables. This pseudo grainis a good source of plant proteins. With a mild, nutty flavor, quinoa is a gluten-free healthy alternative to many other grains. You can add some vegetables and have it in your morning breakfast. Legumeslike beans, chickpeas and lentils are highly nutritious. They contain all the essential amino acids and are a complete source of proteins. You can have legumes with rice in order to make a wholesome balanced meal rich in proteins. Pumpkin seeds are not just a superb way of adding proteins to your diet. But they areloaded with nutrients like essential vitamins and minerals such asmagnesium, along with immune-boosting zinc, omega-3 fatty acids and fiber. You can add these seeds into your salads, soups and smoothies. Healthy nuts like cashews, almonds and peanuts are again a great way to add proteins to your diet. Nuts are rich in healthy fats and fiber. In fact, snacking on nuts is a great to lose weight. Even nut butters prepared at home are extremely nutritious and protein-rich. This tiny green vegetablecontains about eight grams of protein per cup. So you can add a little of these sweet vegetablein your meal. Did Kareena Kapoor Khan Just WARN Sara Ali Khan Not To Date Sushant Singh Rajput? Says THIS!